14th-17th July - Battle of Bazentin Ridge. 15th July-3rd September - Battle of Delville Wood. 20th-25th July - Attack on High Wood. 23rd July-3rd September - Battle of Pozieres Ridge. 3rd-6th September - Battle of Guillemont. 9th September - Battle of Ginchy. 2nd September - Battle of Flers-Courcelette (tanks used for the first time). 26th-28th September - Battle of Thiepval. 25th-28th September - Battle of Morval. 1st-18th October - Battle of Transloy Ridges. 1st-3rd October - Capture of Eaucourt l'Abbaye. 7th October - Capture of Le Sars. 7th October-5th November - Attacks on Butte de Warlencourt. 3rd-11th November - Battle of Ancre Heights. 13th-18th November - Battle of the Ancre. With the onset of winter the advances ground to a halt, and the opposing armies dug themselves in along a new line of trenches which would hardly alter until the German Spring Offensive of 1918. The costs were enormous. Although no exact casualty figures have ever been arrived at, official figure give the British Empire casualties as 419,654, and the French at 204,253. A rather dubious attempt was made by British Military Intelligence in September 1916 to calculate German losses to date, arriving at a total of 522,000. In fact, the German losses were less than this, the final total being some 500,000. The gains were a slice of France some 25 miles long and 7 miles wide. 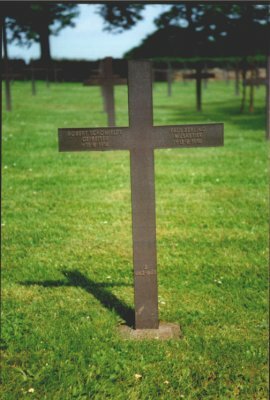 Individual leaders were replaced; Falkenhayn in Germany, Joffre in France, and Asquith in Britain, (whose son had died in the fighting), to be replaced by Lloyd George. Haig survived, and claimed the whole affair as a victory, carefully redefining what had been his original objectives. On 3rd January 1917 he was promoted to Field Marshal, and in 1919 he was granted an earldom and awarded £100,000. The main instigator of the disaster, Rawlinson, was given a baronetcy and £30,000. In the 1920's the area was slowly returning to normal, and the British dead were gathered into fifty cemeteries. 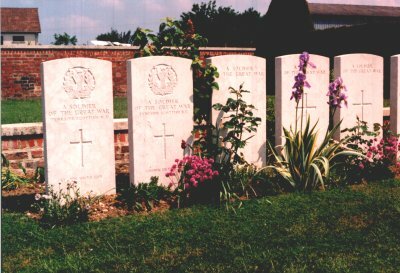 Of these, the Bapaume Post Cemetery, on the side of the Albert road, contains the graves of many Tyneside Scottish, including two of the Commanding Officers, Cols. Lyle and Sillery. This cemetery is on what was the Regimental Aid Post during the battle. 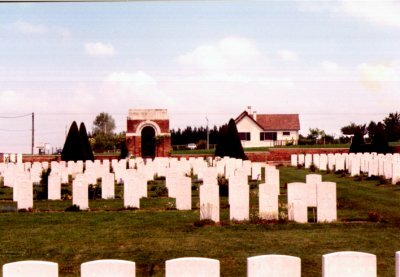 On the north side of Mash Valley is the Ovillers Military Cemetery, where many of the Tyneside Irish are buried. Several Tyneside Scots are also here, many graves simply marked "An Unknown Soldier of the Tyneside Scottish". 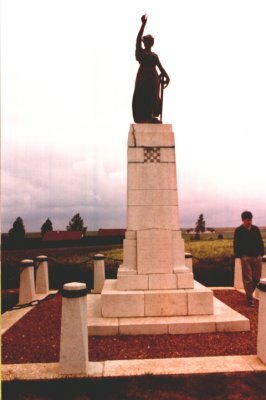 Ovillers Cemetery is located in what was No-Man's Land, and the first burials were made soon after the battle began. Most of its 3556 burials were made after the War, and these include no fewer than 2477 unidentified soldiers. 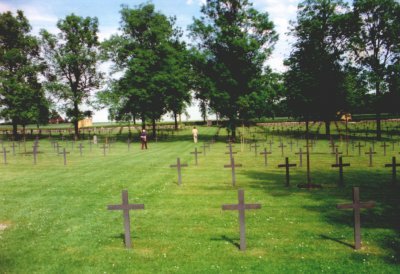 The Germans were only allowed one cemetery, at Fricourt, which contains memorials to 11,970 men, with a further 6,477 unknown. The sombre black crosses in this cemetery make a stark contrast to the white headstones marking Commonwealth burials. 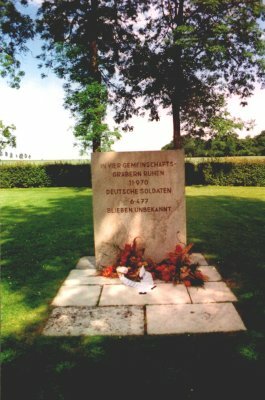 of the few German Cemeteries on the Western Front. 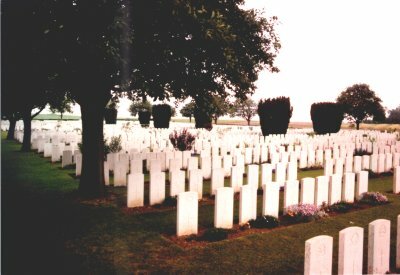 In it are buried 11,970 men, with a further 6,477 unnamed. Portland Stone memorials in the British cemeteries. 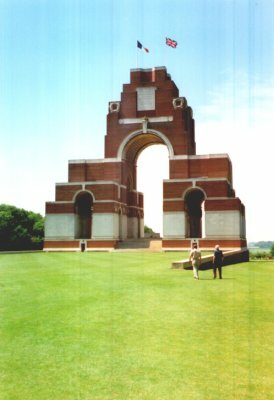 The monuments which now dot the area were erected, including the one at Thiepval to the 73,412 men who disappeared on the Somme. The Memorial, designed by Sir Edward Lutyens, was built between 1928 and 1932, and unveiled by the Prince of Wales, in the presence of the President of France, on 31st July 1932. The Memorial is clad mainly in brick, but its sixteen piers are faced with Portland stone on which the names of the dead are engraved. Some two and a half piers are taken up with names of men from the various battalions of the Northumberland Fusiliers, including Lt.Col. Elphinstone. Among many memorials to individual units in the area, a Tyneside Memorial Seat now stands on the Albert to Bapaume road where the side road branches off into La Boiselle, and at the eastern edge of the village is the 34th Division Memorial. 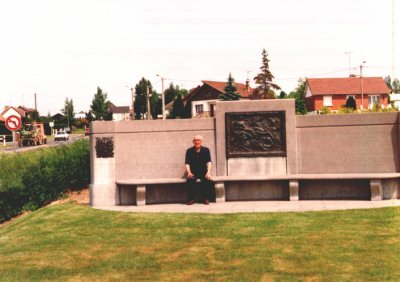 The Tyneside Memorial Seat, La Boiselle, dedicated in the 1920s. Infantry and Support Units which took part in the attack on 1st July 1916.
the Somme and who have no known grave. James Brown left hospital and returned home late in 1916, where he re-established his business as a boot and shoe maker, working from a shop below his home at 60, North King Street, North Shields (since demolished). The youngest two of his eight children were born after his return. Because of the pressures on men to join the Armed Forces, there was a grave danger that someone who was not visibly unfit to serve could be taunted and called a coward. To counteract this the men were issued with the Silver War Badge, designed to be worn on a lapel, showing that they had served King and Country. The documents relating to these awards show that Pte James Austin Brown was officially discharged on 15th June 1917, and awarded Badge and Discharge Certificate No.207224 on 27th June 1917.The official records also show that his entitlement to the Victory Medal and the British War Medal was approved on 28th July 1921, and these, along with his Discharge Certificate, he proudly displayed in his shop. He was diagnosed as suffering from 'Trench Neuritis', a term designed to cover many medical problems, and given six months to live. 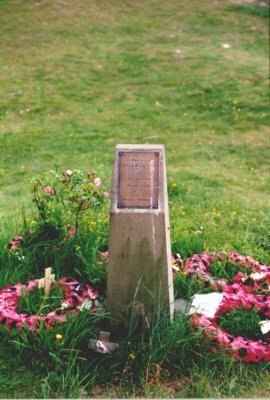 Having been exposed to gas, possibly seeping from the ground as he lay injured, he suffered from asthma, and in winter, when his chest was particularly bad, he spent time in a Royal British Legion hospital in County Durham, in company with many ex-soldiers, some of whom were permanent patients. Also, he had a fear of thunder and lightning, a lasting legacy of the shell shock caused by his experiences. James Brown died on 2nd November 1945, aged 63, just a few days after his son, Flintoff Brown, returned from the Far East having been a prisoner of war of the Japanese.